I have been trying the Soap and Glory One Heck of a Blot Foundation for about a month now and I still can't make my mind up on it. As you all know I own over 25 foundations so I am a bit of a addict and usually know whether or not I like a foundation after trying it once or twice. 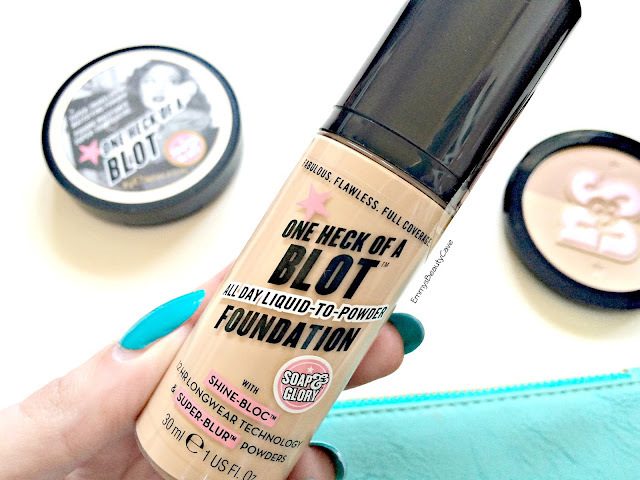 When I saw Soap and Glory had released a foundation for the One Heck of a Blot range I was so excited as I love the One Heck of a Blot Powder. I use the powder every Summer as it is amazing at keeping me matte without looking cakey. The main thing that has impressed me is the packaging. I am so happy it comes with a pump. The packaging is cute just like all the other Soap and Glory Makeup Products. The bottle is clear so you can easily see how much product you have left and what your shade looks like. So why do I have mixed thoughts? The first time I applied this I tried with a flat top kabuki brush and boy it was horrendous. It looked streaky and patchy and just looked awful. I thought it was the brush so I tried again with the Nanshy Buffer Brush and it still didn't look the best. I have oily skin 90% of the time but now and then I will get the smallest dry patch on my cheeks. 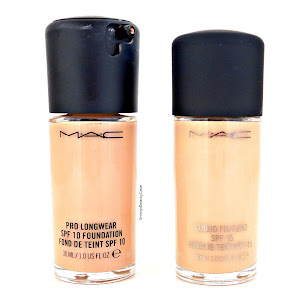 Whilst trying this foundation my skin has been super oily. The foundation claims to be a liquid to powder product and I think that is the problem. Every time I have applied this even with Beauty Sponges it has looked horrible every time. It looks powdery as soon as I apply it. 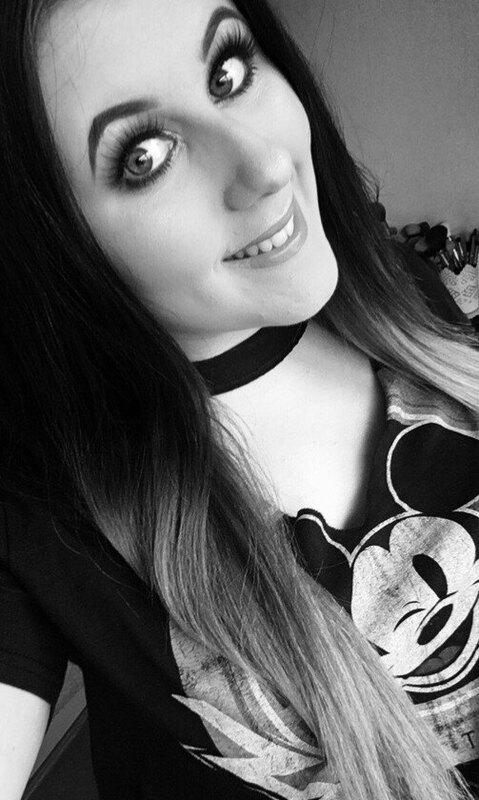 Once I apply the rest of my makeup, concealer, powder, setting spray it some what looks ok. As I always I apply serum, moisturiser and a primer before any foundation. It also claims to be full coverage... I don't find this the case. I find when I apply at first it is more medium coverage as my freckles still show through and any breakouts still show through. I have tried building it up but it ends up looking cakey and extremely powdery. For someone who has the oiliest skin and for this to look extremely powdery just doesn't work. It also states to have super blur technology but it really doesn't, it shows my pores more and clings to any tiny amount of hair! I want a foundation that will look amazing with just a tiny amount of concealer and powder. I don't want to have to apply a powder that has coverage to help the foundation finish look better. I am quite disappointed with this foundation. I will keep using it as I can make it work but it does take alot of work. It is such a shame as I adore the One Heck of a Blot Powder. Have You Tried The Foundation or Powder?